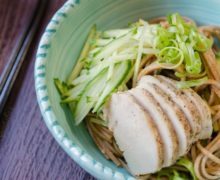 Soba noodles are tossed in a delicious Asian sesame dressing and served with julienned cucumber for a refreshing dinner recipe that can be made in 15 minutes! When I think of summer, I always look forward to a bowl of cold Asian noodles. Can you think of a dish that’s more refreshing? I can’t. Cold noodle salads win the shiny crown! I have to admit that one of my favorite parts about making Asian dishes like this is how easy it is to make. 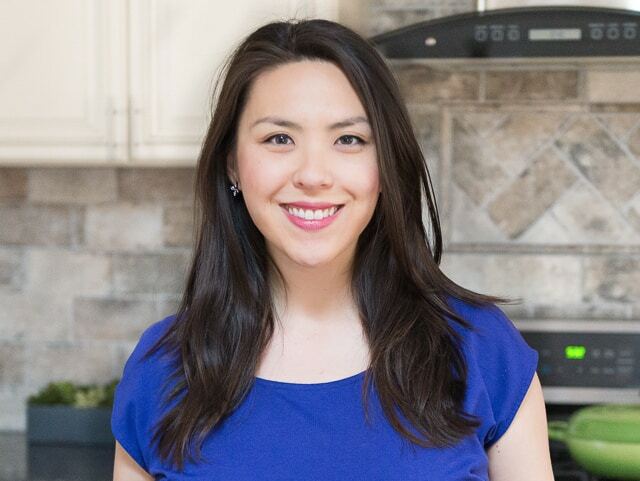 With soy sauce, rice vinegar, sesame oil, and sriracha in my fridge, and a knob of ginger always in my freezer, I know I can always whip something flavorful together. Aside from the pantry staples, you only need to add a few fresh ingredients to this. I always add scallions to my Asian noodle dishes, but this was my first time making the scallions curly. I recently watched a video from my friend Jaden on how to do it. Isn’t it fun? 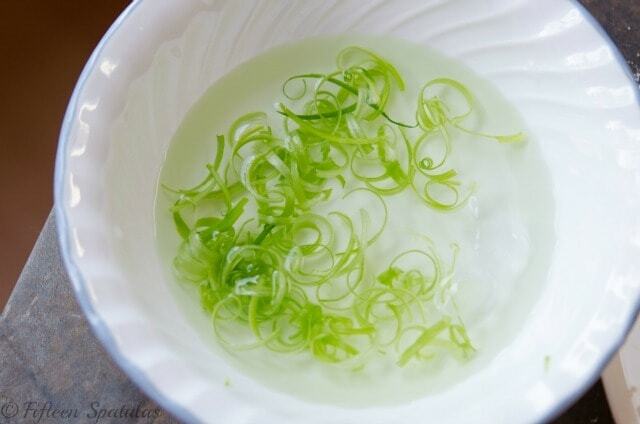 Basically you cut the green onion vertically and tear long strips apart, and soak them in ice water until they curl. They make the noodles look so fancy! 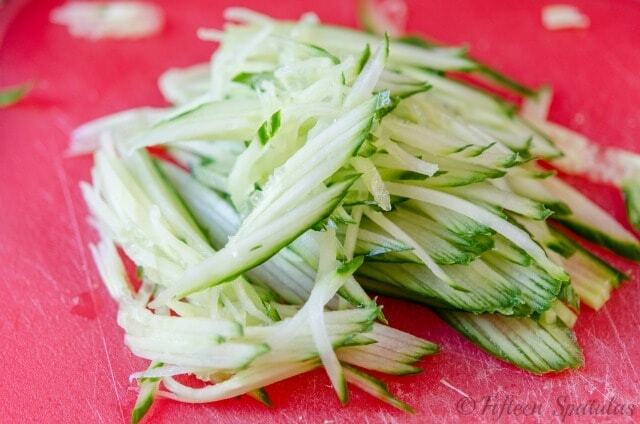 The other fresh “must” is to throw in a ton of grated cucumber. I strongly recommend using an English cucumber instead of the Kirby variety. The English cucumbers have a much better flavor for this dish. Cook the soba noodles in boiling water, then toss in the Asian dressing along with the cucumbers, scallions, and some sliced chicken if you’re looking for some extra protein. Enjoy, and stay cool out there! 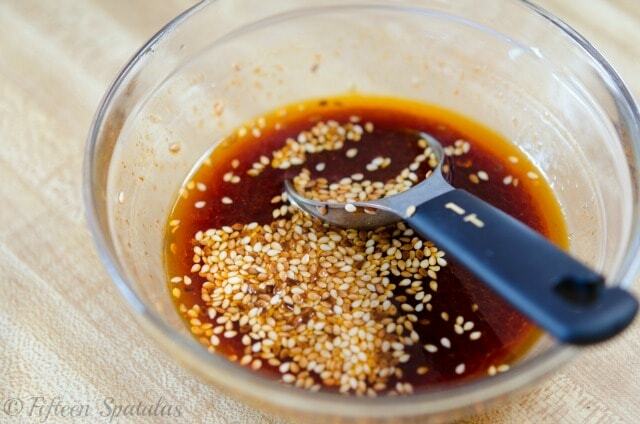 To make the dressing, whisk to combine the soy sauce, rice vinegar, mirin, sriracha, sesame oil, ginger, and sesame seeds. Set aside. Bring a big pot of water to a boil and season the water with enough salt for it to taste like ocean water. Cook the soba noodles according to the time on the package, checking a few minutes before to see if the soba noodles are done. When the soba noodles are al dente, immediately drain the noodles and place the noodles in a big bowl of ice water to chill, for about 30 seconds. Drain the noodles from the ice water and transfer to a bowl. 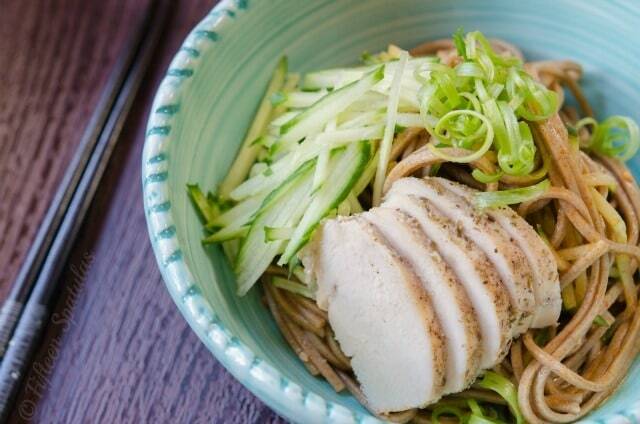 Toss the soba noodles with the Asian dressing and mix with the grated cucumber, scallions, and chicken breast. It is best to eat either at room temperature or after it has chilled in the fridge. The noodles are best eaten within a day or two. Enjoy! Mmmm…..this looks really good!!! 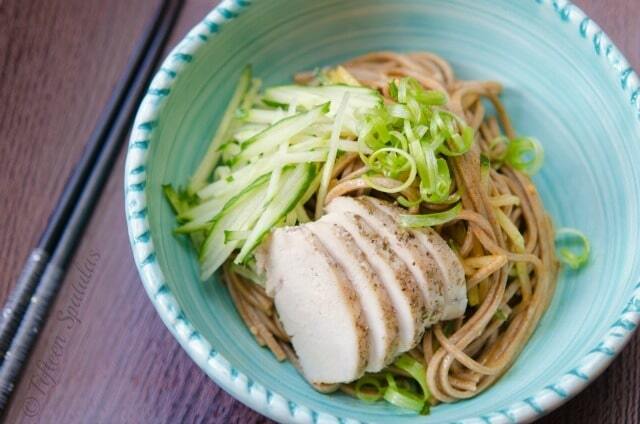 Do you have to use soba noodles, or could you replace it with some other type of Asian noodle? Hi Myrtle, you can definitely use other noodles. Sometimes I actually use regular pasta (linguine) which I love! I tell ya, Joanne. I am just not feeling warm, comforting casseroles and the usual stuff this time of year. I want meals like this! These noodles look so light and flavorful – perfectly refreshing for beating the sweltering Austin heat! Made this today and came out delicious I might have to add more brown sugar as the sauce was a bit spicier than expected. I had trouble trying to curl the scallions though :/ GREAT RECIPE THOUGH! Hi Jourdan! Yes, it’s spicy with the sriracha (which you could reduce or leave out next time if you’d like). Glad you enjoyed the noodles!